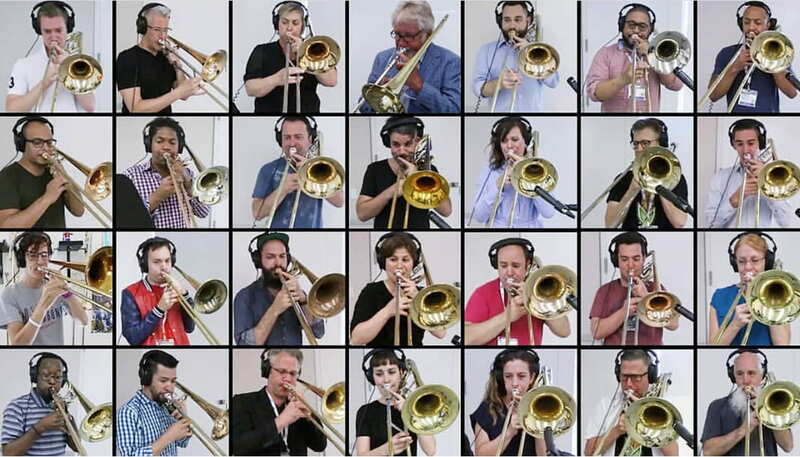 This summer Dr. Martin McCain took part in a 28-member video collaboration of Queen’s “Bohemian Rhapsody” with several trombonists across the globe. 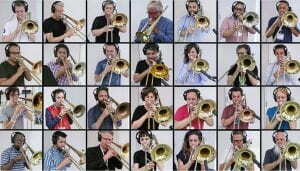 Some of those members are Peter Moore (London Symphony), Zoltan Kiss (Mnozil Brass), Paul Pollard (The Met) and jazz artists such as Jiggs Whigham and Marshall Gilkes, just to name a few. The video can be found on youtube at https://www.youtube.com/watch?v=-m8MqIS6VEU. McCain also taught and performed at summer festivals in Croatia, China, Japan and Taiwan. On September 4, McCain was an artist in residence at the University of Tennessee in Knoxville. This entry was posted in alumni students faculty NEWS and tagged Bohemian Rhapsody on September 21, 2018 by Thomas S. Clark. Lisa and Jim Bob Spencer, principal sponsors with Sharon Lockett in the Spencer/Lockett Scholarship Fund, attended a recent Somos Musicos student concert along with Dean John Fleming and School of Music Director Thomas Clark. 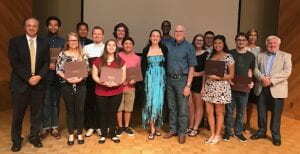 The concert began with presentation of certificates to 13 of the 20 music students receiving scholarships funded this year by Spencer/Lockett. This entry was posted in alumni students faculty NEWS on September 18, 2018 by Thomas S. Clark. The on-line piece also shows a video of our proud Mariachi Nueva Generación, which is directed by Prof. John Lopez. 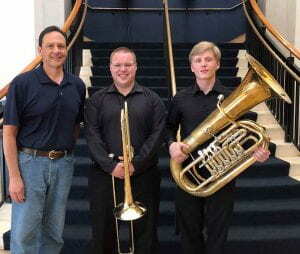 This entry was posted in alumni students faculty NEWS and tagged Hispanic-serving, mariachi on September 17, 2018 by Thomas S. Clark. 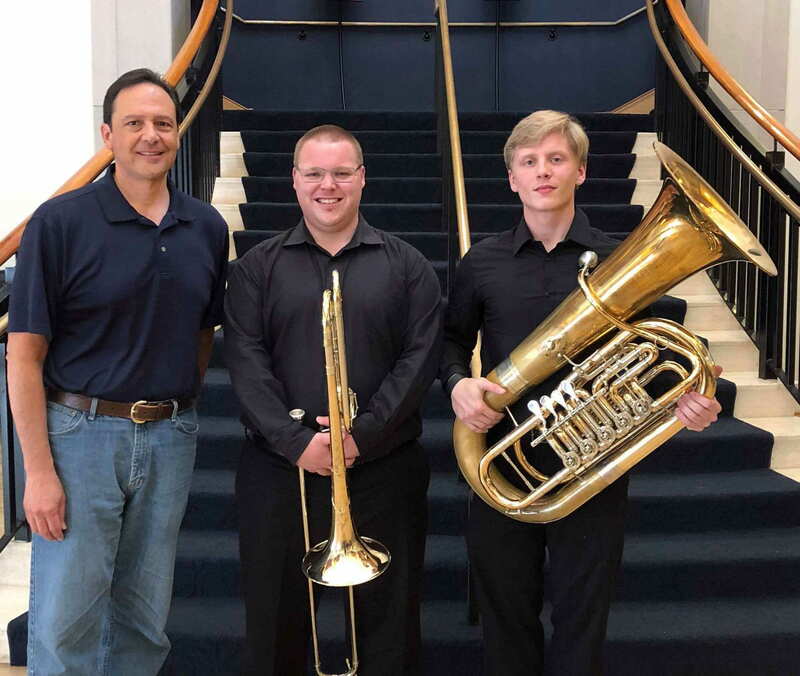 Joseph Raby went to three different music festivals this summer: Rafaél Mendez Brass Institute, Mountain Light Music Festival, Masterworks Festival. 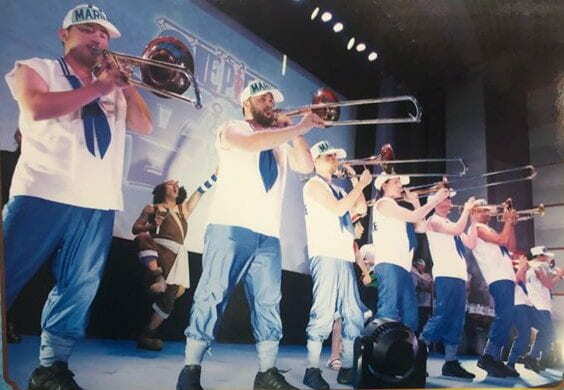 Trombonist Matt Hurtado performed “One Piece Oto Utage” in Tokyo, Japan. 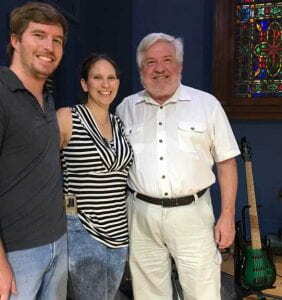 This entry was posted in alumni students faculty NEWS on September 10, 2018 by Thomas S. Clark. 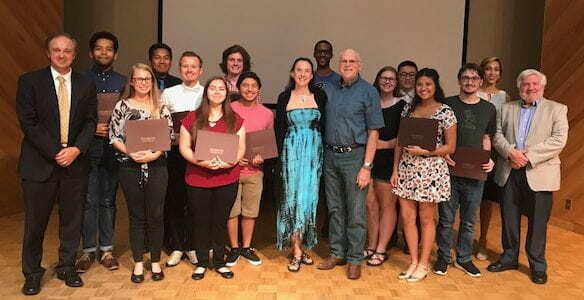 This summer Julia Escobar and Joshua Valdez traveled to Bulgaria for the National Academy of Music flute and clarinet masterclasses, June 21-28 in Sofia, Bulgaria. 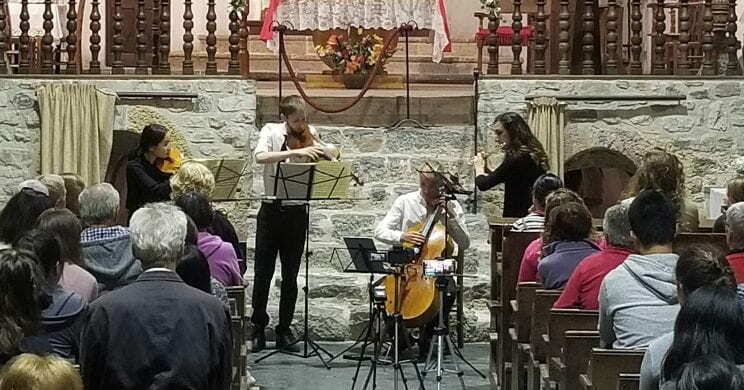 They received master class instruction from three famous Bulgarian flutists (Lydia Oshavkova, Georgi Spassov, and Ventsislav Kindalov) and interact with high school-age Bulgarian flute students to learn about their music education and their culture. Julia also attended the Zodiac Music Academy & Festival from July 2-14 in Valdeblore, France (a tiny village in the mountains in the French Riviera). This chamber music festival was hosted by the famous Zodiac Trio. She studied with flutist Sergio Pallottelli and participated in a chamber music ensemble with strings as well as performing a solo.